Good day all! 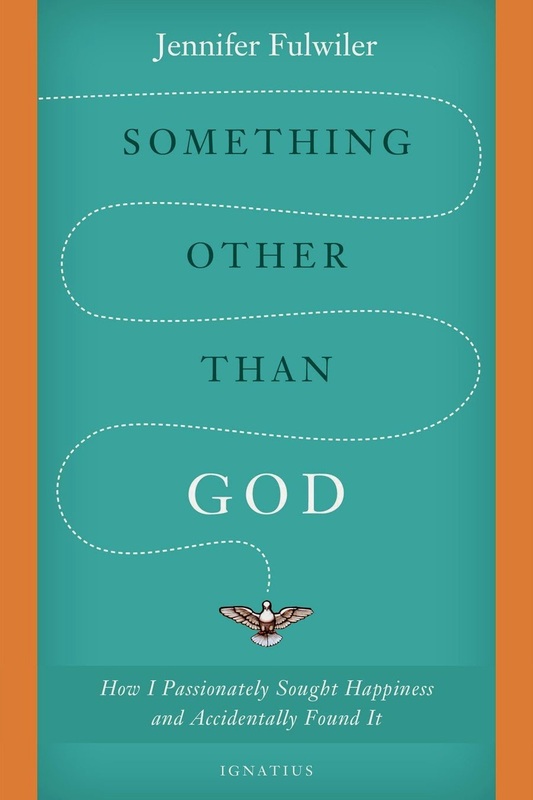 Today is June's edition of the Catholic Book Club, and I'm pleased to discuss a book that I had anticipated for quite some time before it was released, and had pre-ordered as soon as the page was up for Kindle: Something Other Than God: How I Passionately Sought Happiness and Accidentally Found It, by Jennifer Fulwiler. I have been a fan of Jennifer's blog and humorous writing style for years, and knowing that she had a memoir coming out kept me excitedly in the wings. You all know how I feel about spiritual memoirs - ADORE. There have been instances in which I have not enjoyed a memoir, and in those cases it was all about the writing style. If the author doesn't have an intimate feel to their writing, doesn't take you along with them as they detail their thoughts and feelings through the journey of life and faith, it just doesn't work for me. I need a slice of life, to feel like I was there observing everything as it unfolds. And a happy slice of life is what you get here in Something Other Than God in abundance. 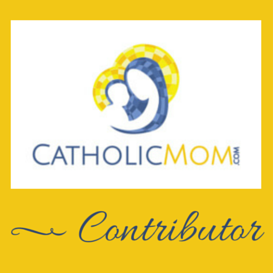 Given that I've read Jennifer's blog for so long, I felt like I already knew her. As one might imagine though, there was SO much about her life that I did not know, and reading this book was like finding a fantastic buried treasure with all sorts of layers to it you didn't originally realize were there. The book starts with some information about Jennifer's childhood and the foundations of her atheism. I had never read a spiritual memoir before by someone who started out as a staunch atheist, and I was fascinated with what she had to say about why she was an atheist, and even in her most fervent days of that worldview, what specific discomforts she had with it. From there we move on to her college days and first job, which is where she meets her future husband, and things get *really* interesting from there! I kept thinking, "Oh wow, I didn't know that, how interesting. I wonder what she'll do next!!" And *that* is what I loved most about this book. This is a work of non-fiction, yet it read almost like a novel in the way that Jennifer frames the content. The reader can see the threads there that will be significant later on in the story, we relate to and are rooting for our heroine, and there are all these bumps in the road that we navigate along with her. Suddenly...there are surprises! And I absolutely could not wait to pick the book back up to see what would happen next. There was this one scene, wherein Jennifer and her husband Joe were on their way to a restaurant for dinner, and she's trying to tell him some major news, hedging on whether to spill the whole story before or after they get settled at their table, and...I nearly dropped my Kindle when I got to the end of that chapter. :0 I just about died when I saw what happened. It is not easy to accomplish such a feat as a writer, and I am not at all surprised that Jennifer managed it given what I knew already about her writing talents, but for the reader it just feels GOOD to interact with a book in this way. This is an *excellent* book. If you haven't read it, well, what are you waiting for? :) It's under $10 for Kindle right now, and you will NOT regret supporting this wonderful writer and reading her story. Did you read Something Other Than God? Please comment with your thoughts! In July, I'm going to be reading Pope Awesome and Other Stories, by Cari Donaldson, and I'm hoping to set up a web chat of some kind with Cari. This is going to stretch my non-adept technological muscles as you saw yesterday. :0 We'll see how this goes, which is my way of saying it may go nowhere. But I'll try! Pope Awesome is available for Kindle right now for *$4.99*. Scoop this up, my friends!! We can read along together. When I was reading Something other than God, I started taking the book with me just in case I'd have time to read it, it was that good. I don't have much experience with atheists and liked the insight into her thought process both as an atheist and as she was exploring Christianity. Stumbled to this post through 7QT (why do we say stumbled when we talk about the internet? Are we drunken web browers?). I recently finished this book, as I mentioned in my own 7QT and I agree with everything you said. This book is incredible and the way she makes you nearly drop your kindle is both a spot on description and very true. It is the kind of book that you really don't want to end.